Working with AGIX isn’t like working anywhere else. We work from anywhere and everywhere, we work across the day and night, and we’re expected to solve problems others can’t. Don’t stress, we work together as a team. AGIX technicians are expected to have Integrity, Flexibility and Know-how. Technicians log into production machines (often at night) in high-usage/high-performance environments and are expected to solve serious issues. Trust is everything. AGIX is looking for a Linux System Administrator to join our team of like-minded professionals. The position requires on and off-site work in the Adelaide area and working from home. The successful applicant must be reliable, show integrity and be pleasant to work with. Generally speaking, most work will involve Redhat, CentOS and Ubuntu server administration. 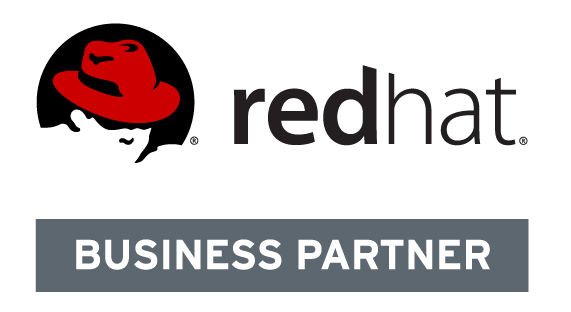 A Redhat certification will be a significant advantage. Software installation using Yum and Apt. Software updates both manual and automated. System recovery after a system crash. System management including time, service management and disk management. Resource management including disk, memory, processor and network utilization. Integrate with Active Directory for user authentication. Install and configure a basic web server with PHP support. Install and configure a basic MySQL database with access controls. Install and configure basic file sharing with Samba and NFS. Security basics including IPTables, sudo, SELinux and SSH restrictions. When applying, please indicate the level of experience you have with each of the above key points. If you’re interested in working with AGIX, please send an email to Andrew Galdes using the following details. Make sure to include the required information to make the process simple. AGIX is a Boutique IT Business Promoting the Open-Source Philosophy & Good Cyber-security Within Business. Find out more about AGIX in our “About” page. Send your expression of interest to Andrew Galdes @ andrew.galdes@agix.com.au. You can contact Andrew for questions or to find out more using email or LinkedIn. How would you rate your integrity? At AGIX, trust and integrity is everything. We need to know that you can be left alone to work on complex tasks and be fully open about what went wrong, how it happened and what you did to resolve it or if you need help to resolve it. Integrity is the most important quality of anyone working with AGIX. How would you rate your communication skills? Being able to clearly discuss complex matters with both clients and other AGIX team members is critical. All team members must be able to clearly and calmly discuss matters that may be stressful, complicated and timely without hassles. How would you describe your availability? AGIX team members need to be contactable by phone and messaging (Slack) at abnormal hours. Some AGIX team members prefer to work in the evenings and at night or during normal business hours but understand that clients need issues solved in a timely matter at times when the responsible AGIX team member might not be anticipating the issue. Included in your availability is the ability to drive if that is part of your duties. Most AGIX team members aren’t required to visit clients (they work remotely) but it may be required from time to time. How would you describe your personality type? For instance, most of the time you’re happy, sad, concerned, stressed, focused, resting, surfing (in water or the net) or perhaps you’re focused on studying. This helps the AGIX team understand how to approach you both professionally and socially. What qualifications and certifications do you have? For example, do you have an IT degree, are you certified as RHCE or LPI or do you have experience in the field relevant to the work you’d like to do with AGIX? Mention anything that makes you technically suitable for working with AGIX. AGIX is a business focused on IT Security, Linux and opensource in general.